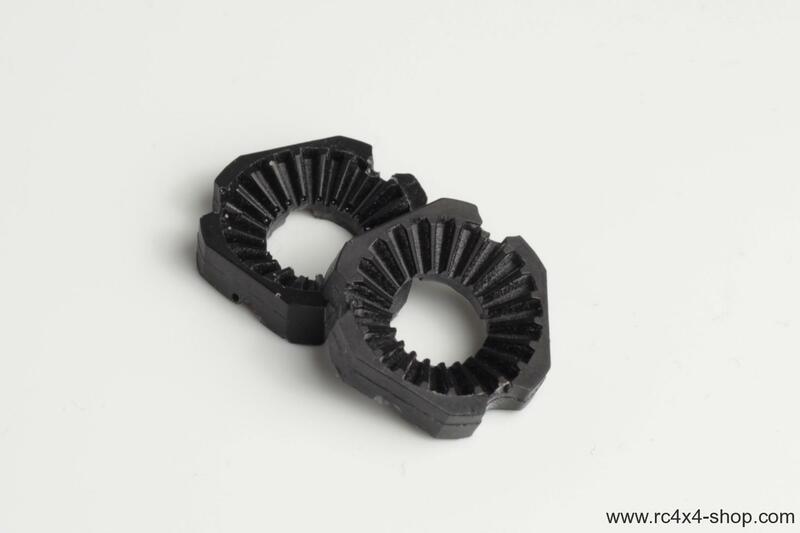 This is diff lock for Tamiya CC-01 (XC) differential. Can be used in rear diff and also in front diff. Using this part you can easily lock your axle without any unremovable modification. Open the differential and just remove three small bevel gears and star shaft. Large bevel gear let lay in differential, add one half of diff lock, add star shaft, add second half of diff lock and then add the second large bevel gear and close the differential with its cover. Then tighten the screws. Your diff is locked now! You can unlock it easily with removing the diff lock and mounting back the small bevel gears. You will receive a set of diff lockers for 1 differential only!